The 2018 Vintage was grown on “Horseshoe Bend” one mile from the malt house in Rosthern, Saskatchewan. 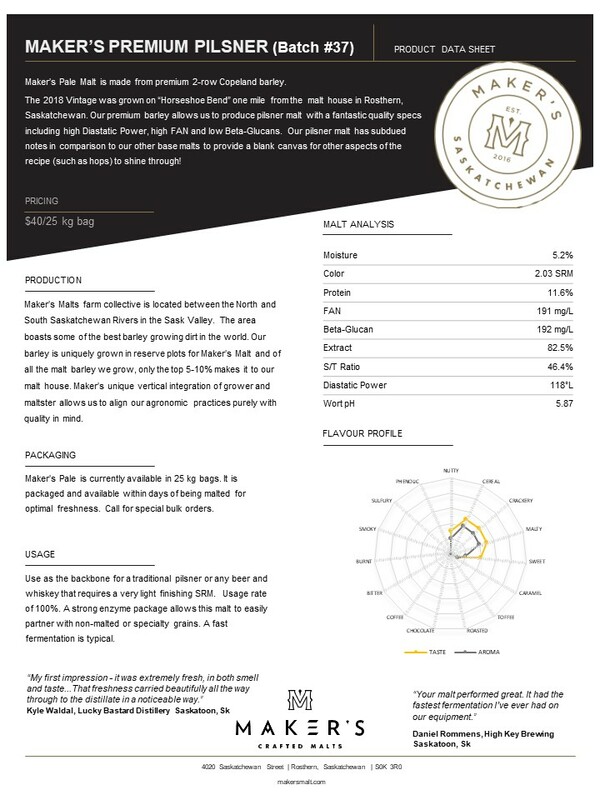 Our premium barley allows us to produce pilsner malt with a fantastic quality specs including high Diastatic Power, high FAN and low Beta-Glucans. Our pilsner malt has subdued notes in comparison to our other base malts to provide a blank canvas for other aspects of the recipe (such as hops) to shine through! Maker’s Pilsner is made from premium 2-row Copeland barley. The 2018 Vintage was grown on “Horseshoe Bend” one mile from the Malt House in Rosthern, Saskatchewan. 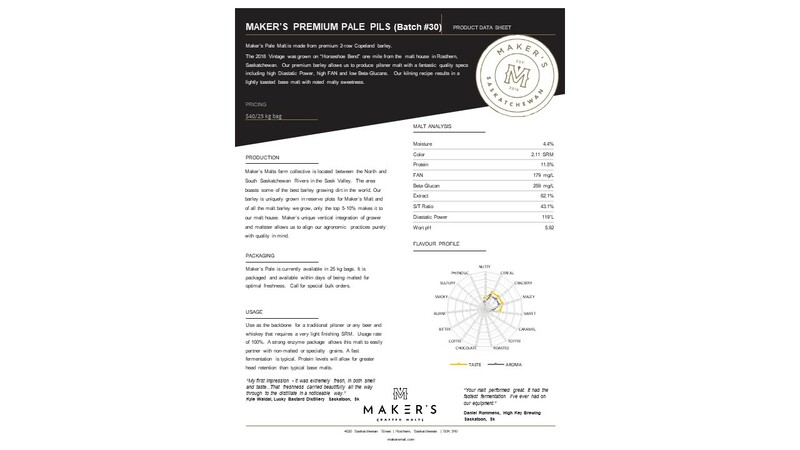 Maker’s Pilsner is commercially available in 25 kg bags. It is also now available in smaller 10lb and 2lb bags specifically for our homebrewers! Use as the backbone for a traditional pilsner or any beer and whiskey that requires a very light finishing SRM. Usage rate of 100%. A strong enzyme package allows this malt to easily partner with non-malted or specialty grains. A fast fermentation is typical.